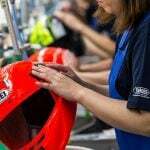 American Motorcyclist Association members can win cool gifts, support their riding freedoms and get great deals on parts and gear at 112 Cycle Gear locations nationwide during AMA Go Ride! Month in April. Those who join or renew with the AMA at a Cycle Gear location during April get a free AMA patch and an AMA koozie. AMA members who bring a friend to join also receive a free Stockton 15-in-one utility tool. Current AMA members also get a free “Touring Tips, Tricks and Techniques” booklet and an AMA decal just for showing their valid AMA cards. In addition to these membership incentives, Cycle Gear is providing a range of discounts exclusive to AMA members. The discounts range from 10 percent to 20 percent off regularly priced items. 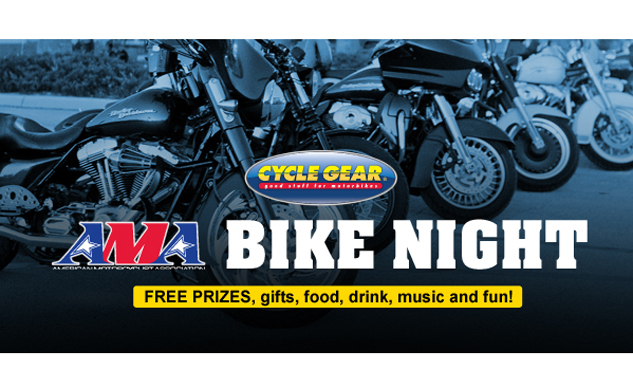 AMA Bike Nights at Cycle Gear are part of AMA Go Ride! Month. Every April, AMA Go Ride! Month celebrates the riding season by highlighting the fun recreational riding opportunities on the AMA calendar, from dual-sport events to poker runs to swap meets to road rallies. AMA Go Ride! 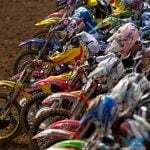 Month is the AMA’s reminder that motorcycling is the best way to experience this great country. Learn more about AMA Go Ride! Month in the April issue of American Motorcyclist, the official journal of the AMA. For more information about AMA Bike Nights at Cycle Gear, see www.americanmotorcyclist.com/amabikenight.